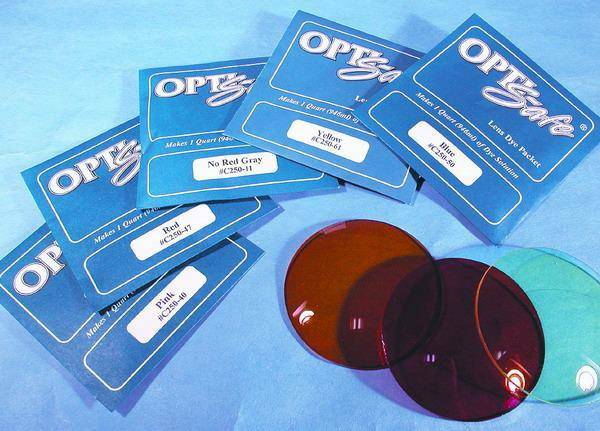 Phantom OptiSafe Lens Dye Packets - Vision Equipment Inc.
OptiSafe® Lens Dye Packets have been formulated by Phantom Research Laboratories, Inc. after several years of research and development. They are the most advanced lens dyes available today, providing the most consistent, uniform colors in the least amount of time. 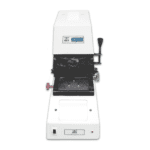 The molecular composition of the dyes allow for rapid penetration into the lens matrix, bonding to the lens and providing an excellent resistance to fading. Plastic CR-39™ (coated and uncoated), hi-index, and polycarbonate lenses can be successfully tinted with OptiSafe® Lens Dyes. Choose from a wide variety of colors to tint virtually every pair of sunglass and prescription lenses to customer satisfaction. The dyes are available in water-soluble dye packets, and are packaged in standard 10 packs. You can create an unlimited number of colors and shades from our most popular OptiSafe® dye colors, including Corning CPF™, Blue Blocker, and modified spectrum lenses. Call our technical support department for more information. CPF™ is a registered trademark of Corning Glass Works. Use tap, purified, or distilled water to replenish evaporative losses. Better color consistency from batch to batch. Faster tint absorption into lens materials. No mess. No shaking, spilling, and rinsing of bottles. No loss of product from spillage. Entire pouch goes unopened into hot water. Saves on shipping costs. 10 packets equal the weight of 2 dye bottles. Extended shelf life. Packets last over 2 years on the shelf. Lens dye packets are packagedin a standard 10-pack.